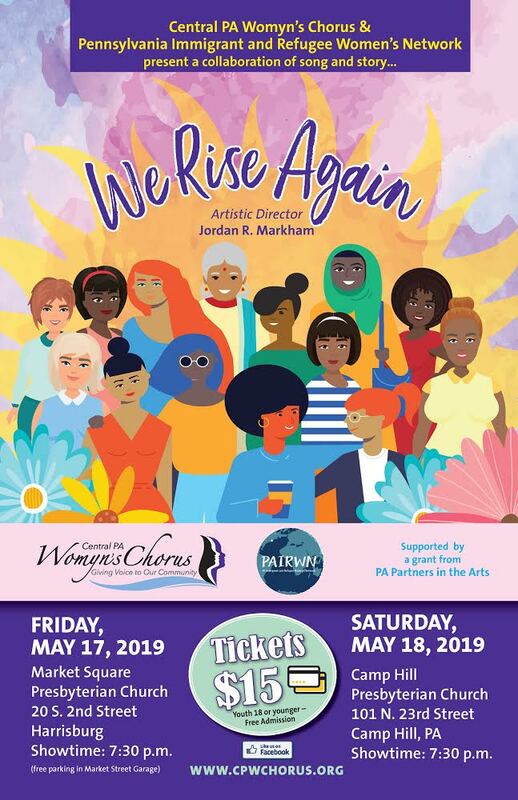 The Central Pennsylvania Womyn's Chorus brings together a diverse group of women, united by the joy of singing, to celebrate and empower women and to affirm a positive image of lesbians and feminists. We strive for musical excellence in a wide range of styles, including classical, folk, jazz, a cappella, chants and rounds, show tunes and popular songs of most decades of the twentieth century, and music recently composed. Our concerts offer a safe and enjoyable environment for lesbians, feminists, gay men, human rights supporters, lovers of choral music, and our families, friends and neighbors to come together and celebrate our diversity as well as our common goals.